Once your trusted Audi starts to develop problems like stutters, chokes and coughs, and once it starts to complain every time you turn the ignition, you need to think about the next steps. Many of us have some emotional attachment to our vehicles, which means we will try to fix it again and again. However, at some point, scrapping Audi cars is really the only available option. This is often a painful moment, but maybe having a greater understanding of what happens when your Audi goes to that great scrapheap in the sky will make the process a little bit easier. Knowing what car breakers so when scrapping Audi cars may just help you get slightly less teary eyed. There is a possibility that your vehicle is not actually as dead as you expected it to be. What many people don’t know is that the export market for those vehicles that are too old for drivers in the UK is actually really big. The biggest importers of what would be seen as scrap cars are Eastern European countries. This is because they often have no home grown vehicles and new vehicles from other countries are simply too expensive. 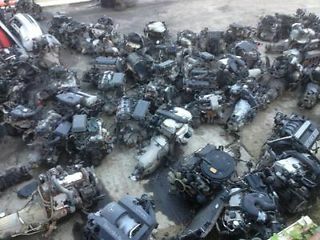 Scrap cars, which may not last long but will at least work for a little while longer, are affordable to the masses. Interestingly, the market for Eastern Europe now seems to be taken over by Africa. As you can see, your vehicle may actually retire somewhere warm and fun before it goes to vehicle heaven. Sometimes, a vehicle really is beyond selling. At this point, two options remain. The first is to take the vehicle completely to pieces and use any functioning parts on other scrap cars that can then get exported. The second option is that some breakers also sell these parts as seen to others, which is good to know should you ever need a part yourself. We don’t always need shiny new parts to get our vehicles to work, particularly if these parts are very costly. Sometimes, a new part can cost more than the value of the car itself! If the above two options are not realistic for your vehicle, then all that can be done is for your vehicle to be sold on to an ATF (authorised treatment facility). This means that it will be properly disposed of in a way that doesn’t damage the environment. The parts will generally be recycled and turned into something new, such as cutlery or computer cases. Once again, your vehicle will, in a sense, live on. If your vehicle is taken to an ATF, you should also be paid something for it. There is one other option available when scrapping Audi cars and that is simply that a salvage yard totally fixes your vehicle and sells it on. This is most common in accident damaged cars, where it is better value for people to collect the insurance money and purchase something new, rather than spending that money on the repair bill.